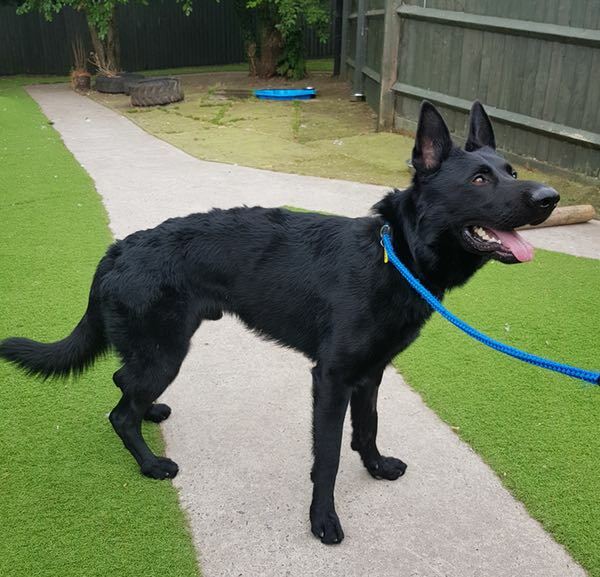 This handsome lad is Abascis who is 2 years old and was picked up as a stray and has ended up in the pound. He is microchipped but he was sold to the owner's dog trainer in England yet somehow ended up in Cardiff wandering the streets! He has muscle wastage due to lack of exercise which can be rectified by short walks and swimming, which he is doing at the dog pound because its next to the river. He was neutered 2 weeks ago. Our volunteer found him to be very excitable, which is natural considering his age and being confined to a cramped kennel. He is very friendly and seems good with other dogs passing by. He will bark whilst on the leash at the odd dog but not all. He has a lot of muscle wastage as you can see in pics. The young kennel maid who only works 2 days per week is the only member of staff that takes him out of his rather small kennel as she said he's far too strong for the other girls to handle. He was pulling like a train which is only natural. Our volunteer worked with him for about 20 minutes and he was walking to heel. She used the ball and this is his main focus - he is ball crazy. 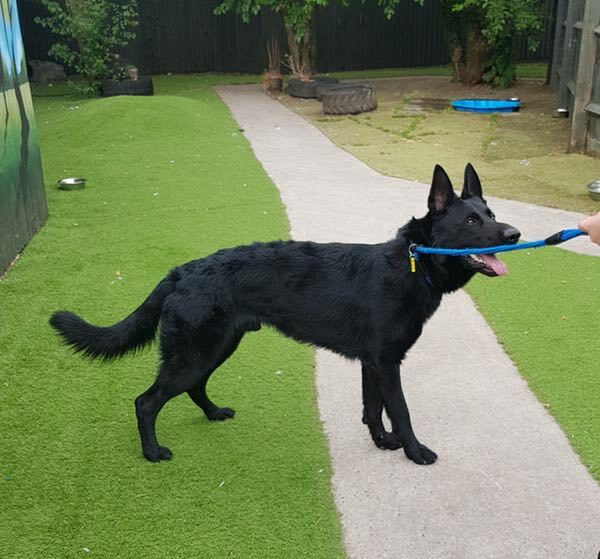 Abascis has been in kennels from early March and getting so stressed we think this is why he's so lean. Our volunteer has asked if she would be allowed to go and work with him for a while and management have agreed which is great news for Abascis. More than anything our wish would be to get him out of the pound and into a home. We are sure he would make somebody very happy. 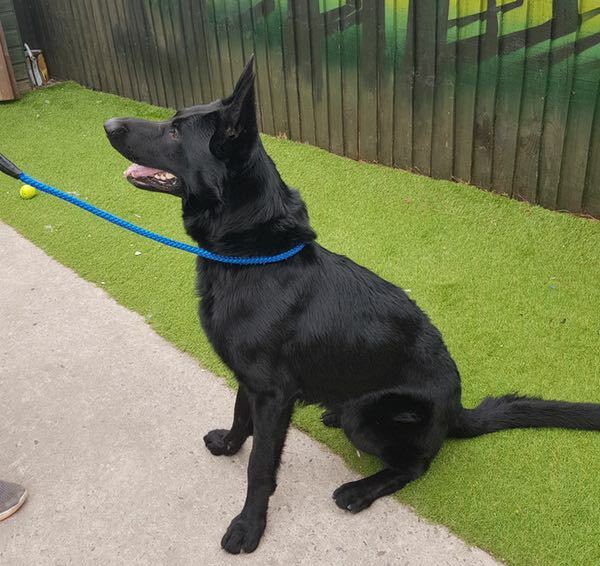 People have shown interest but as soon as they are told about his muscle wastage they walk on by which this beautiful boy does not deserve. Abascis deserves a home, his muscle wastage can be rectified with gentle exercise and swimming which is so good for him. How could you not love this lovely lad?